World stock markets continued to plummet Monday, fueled by another steep decline in Chinese shares and concerns over a marked slowdown in the world’s second-largest economy and turmoil in emerging market economies. The Shanghai Composite Index fell 8.5 percent, its sharpest fall since February 2007, bringing its losses since June to nearly 40 percent. Major stock exchanges across Asia followed suit, with Japan and Hong Kong falling 4.6 percent and 5.2 percent, respectively. The panic spread to Europe, with the British, German and French indexes plunging between 4.6 percent and 5.2 percent. Stocks also sank across the Middle East and in Latin America. But the meltdown was most intense in the United States. With pre-market futures for the Dow Jones Industrial Average down 700 points, the Dow collapsed at the opening bell, along with the S&P 500 and Nasdaq indexes. Within four minutes of the trading start, the Dow had sunk by 1,089 points, or 6.6 percent, the biggest single-day point drop in US history. The Nasdaq dropped 400 points, or more than 8 percent, and the S&P 500 fell over 100 points, about 5 percent. The massive and seemingly unstoppable wave of selling shocked market experts and commentators and provoked comparisons to the “Black Monday” trading disaster of 1987, when the Dow plunged 22 percent in one day. There were many indications that a full-scale meltdown was in progress. Apple stock plunged 13 percent at the opening, prompting CEO Tim Cook to go on CNBC television to reassure Apple investors that the company’s business in China was not threatened. Apple ended the day with a 2.47 percent loss. Online brokerage firms TD Ameritrade and Scottrade were swamped by a wave of sell orders, blocking many investors from gaining access to their accounts. Scottrade said that it experienced a 230 percent spike in trading volume at the opening. The VIX, a market index that measures volatility and is known as the “fear index,” hit 53. The last time it was over 50 was in March 2009, when the market hit bottom following the September 15, 2008 Wall Street crash. The atmosphere of panic was also reflected in a large-scale move from stocks to US government bonds. The yield on US ten-year Treasury notes, considered a safe haven, fell below 2 percent for the first time in months, reflecting a surge in demand for the bonds. Yet five minutes after the initial US market collapse, a wave of buying cut the losses in half. At one point the Dow came within 115 points of breaking even. The selloff resumed later in the day and the Dow ended the session with a loss of 588 points, or 3.6 percent. The S&P 500 ended down 77 points, or 3.94 percent, and the Nasdaq closed with a loss of 179 points, a decline of 3.82 percent. All three indexes are in “correction” territory, having declined by more than 10 percent from their recent highs. There can be little doubt that the Federal Reserve Board and related government agencies intervened behind the scenes to organize the massive buying spree that halted the opening market plunge. Reports emerged later that the New York Stock Exchange had invoked an obscure and rarely used rule to preempt panic selling. Rule 48 speeds up the opening of trading by suspending a requirement that stock prices be announced at the beginning of the session. This may have been used to facilitate an intervention by the Fed. Given the role of the Fed in financing the tripling of stock prices since the 2008-2009 crash by holding interest rates at near-zero and pumping trillions of dollars into the financial markets, such an intervention to once again rescue the financial elite would not be an aberration. The entire policy of the Fed and other major central banks and governments since the eruption of the crisis seven years ago has been focused on engineering a vast redistribution of wealth from the working class to the corporate-financial elite through a combination of austerity and record high stock prices. The unprecedented bull market has been the main mechanism for further enriching the world’s multimillionaires and billionaires, even as the real economy was starved of productive investment and remained mired in stagnation. The current stock market panic reflects the growth of deflationary pressures in the global economy that are overpowering the efforts to inflate and maintain financial bubbles for the benefit of the rich and the super-rich. The slowdown in China, marked by a decline in manufacturing and falling exports and investment, is itself an expression of a global downturn. China is hit particularly hard because it has been the main impetus for global economic growth since the 2008 crisis and is heavily dependent on expanding world production and markets for its industrial exports. Its attempts to stimulate growth through infrastructure projects, real estate speculation and an expansion of its stock markets have foundered against a general climate of stagnant or anemic growth in the US, Europe and Japan. Analysts attributed Monday’s further decline in Chinese stocks to disappointment over the government’s failure to intervene more strongly to prop up the market after a series of sharp falls last week. The regime gave approval for Chinese pension funds, with some $550 billion in assets, to invest in the stock market, but failed to lower the level of bank reserves, which would free up cash to plough into the market. The slowdown in China and in the world economy more broadly, along with a rise in the US dollar, has undermined so-called emerging market economies from Brazil and Mexico to Turkey, Russia, Indonesia and South Africa, which depend on China as a market for their commodities exports. 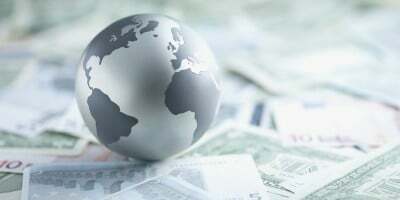 The financial markets and currencies of these countries have been plunging for weeks, exacerbating the international tendencies toward slump and threatening to spark a financial crisis. A definitive expression of economic stagnation is the ongoing decline in commodity prices. US oil prices on Monday fell another 5 percent to six-year lows, dipping below $38 a barrel. Brent crude oil fell below $45 for the first time since 2009. London copper and aluminum futures also hit their lowest levels since 2009. Since China devalued its currency two weeks ago following poor data on exports and industrial activity, trillions of dollars in market value worldwide have been wiped out as a result of falling stock prices. Germany’s DAX index has lost 22 percent since its April high. “Until we have some sign that China and the emerging markets aren’t being sucked into some vortex from which they can’t recover…it is unlikely this selloff will stem,” Mark Luschini, chief investment strategist at Janney Montgomery Scott in Philadelphia, told Reuters.